Check out the long list of comparison images over at JoeyDevilla. 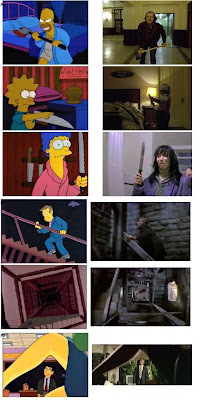 You'll see specific simpsons shots and from what movie the inspiration came from. Very cool!